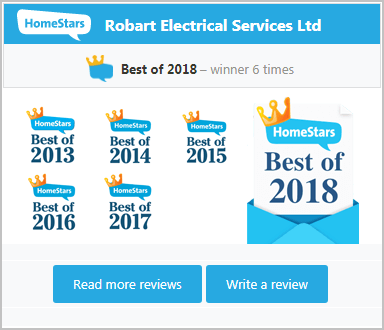 Robart Electrical Services Ltd. Terms and Conditions | Robart Electrical Services Ltd.
Before Using Our Sites, Please Read Our Terms & Conditions Carefully. By accessing this website we assume you accept these terms and conditions in full. Do not continue to use Robart Electrical Services Ltd's website if you do not accept all of the terms and conditions stated on this page. The following terminology applies to these Terms and Conditions, Privacy Statement and Disclaimer Notice and any or all Agreements: "Client", "You" and "Your" refers to you, the person accessing this website and accepting the Company's terms and conditions. "Company", "Company's", "The Company", "The Company's", "Ourselves", "We", "Our" and "Us", refers to our Company. "Party", "Parties", or "Us", refers to both the Client and ourselves, or either the Client or ourselves. All terms refer to the offer, acceptance and consideration of payment necessary to undertake the process of our assistance to the Client in the most appropriate manner, whether by formal meetings of a fixed duration, or any other means, for the express purpose of meeting the Client’s needs in respect of provision of the Company’s stated services/products, in accordance with and subject to, prevailing law of Canada. Any use of the above terminology or other words in the singular, plural, capitalization and/or he/she or they, are taken as interchangeable and therefore as referring to same license. Unless otherwise stated, The Company and/or it’s licensors own the intellectual property rights for all material on RobartElectric.com. All intellectual property rights are reserved. You may view and/or print pages from https://robartelectric.com for your own personal use subject to restrictions set in these terms and conditions. Redistribute content from Robart Electrical Services Ltd. (unless content is specifically made for redistribution). Organizations, Institutions, and other Companies, or Private Individuals may link to our home page, to publications or to other Web site information so long as the link: (a) is not in any way misleading; (b) does not falsely imply sponsorship, endorsement or approval of the linking party and its products or services; and (c) fits within the context of the linking party's site without prior written approval. No use of The Company's logo or other artwork will be allowed for linking absent a trademark license agreement. If you have any queries regarding any of our terms, please contact us via phone number(s) provided on this website. 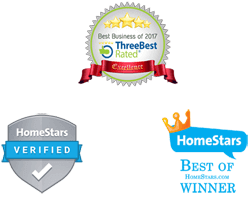 Why Choose Us?Click Here To Find Out!